Thank you for doing business with PC TLC, Inc. This monthly letter will include important security warnings, helpful computer tips, and information about what is new here at PC TLC.BIG NEWS! 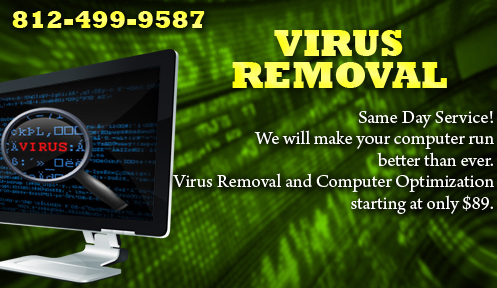 There is a nasty virus going around called “Win Antivirus 2008/2009” We have cleaned up over a dozen computers with this particular infection in the last 2 months. This program acts and looks like an ANTI-virus application. Once it gets on your computer, it tells you that you are INFECTED and that you must purchase the program to resolve the infection. DO NOT give them your Credit Card information!This virus is spreading a number of different ways. Just the other day I got a very convincing ‘phishing’ email that appeared to come from Fedex. It gave me a link to the Fedex website and told me that they were holding a package for my pickup. I clicked the link, and it showed a page that looked like fedex.com and it wanted me to download a ZIP file. I knew it was a scam so I did some research and found that the file they wanted me to download was Winantivirus 2008. Some customers have said they got it after installing a browser plugin that a website said was required to see a video. Lots of reproduction happening here at PC TLC. Does your company have an old telephone system? Would you like to integrate multiple locations into a single communication system? PC TLC is now offering Voice Over IP (VoIP) Telephone systems. We can give your company all of the best features in business communications, for a fraction the cost of the competitors. Call Brian today for a free, no obligation quote for your business telephone system. New PC TLC, Inc. Referral ProgramOur company has kept growing over the last 6 years through referrals. We have always believed that if you go above and beyond to make a customer happy, they will tell someone else about that experience. Over 85% of our current customers are from referrals.We have decided to kick this up a notch. For EVERY referral you give us, I will give you $20. (Starting October 15, 2008)How does it work? SIMPLE! Just tell someone about PC TLC, a business, residential customer, school, non-for-profit, ANYONE.You could even forward them this email. Let me know that you were the one to give them our name, and as soon as they do business with us, I will hand you $20 cash. No limits, no restrictions. Go crazy with this.It is a win/win. Your friends and family with get fantastic service for their technology needs, and YOU will get a quick and easy ‘Andrew Jackson’. We have a special deal going on a Systemax PC Desktop. These are fantastic computers which are manufactured right here in the Midwest by the Systemax Company. We sell a lot of these computers and they are fantastic in quality and performance. This PC on special has the Intel E2200 Processor, 3GB of System memory, 160GB SATA Hard Drive, and comes with either Windows XP Professional OR Windows Vista Business Edition. YOUR CHOICE. All this for only $799. Previous post: My computer is running very slowly.